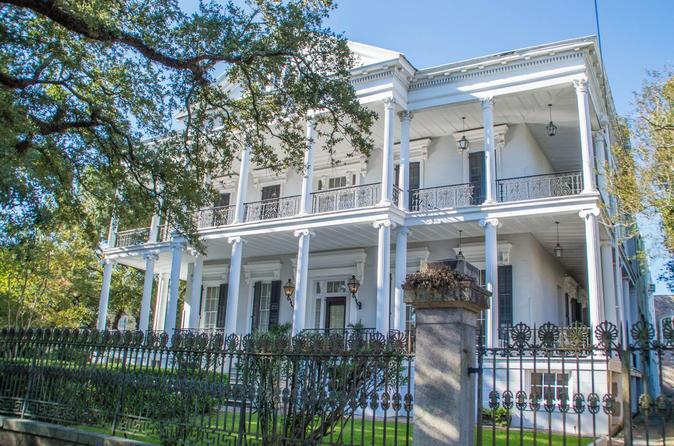 This New Orleans Historic Garden District Walking Tour highlights the American settlement and their beautiful homes, gardens, wealth and how life was changed because of their amazing contributions. This multifaceted tour includes the unique history of our incredible city and culture, reported hauntings and architecture. The Americans early settlements, lavish lifestyles and immense wealth are obvious as we walk through this opulent and super wealthy neighborhood. We begin in the Lafayette Cemetery #1 with information on traditional above ground tombs and burial processes, strolling amongst the magnolia trees. We then walk around the neighborhood where we will show you the architectural styles of the Americans, telling you how these came about as the people of New Orleans evolved into a magical culture. You will see celebrity homes, perfectly manicured landscapes and movie hotspots as well. Walk with a local, see it through our eyes! Walking through the cemetery with narrative is the first part of the tour (closes for funerals), then we see architectural styles of the Americans and discuss the previous gardens and landscaping as it was built in the 1830's. We then discuss the famous architects in the city and their immigration's from other countries and how they contributed to our growth and economy for the Americans and New Orleans in general. Famous homes and celebrities will be discussed as we show you some homes of these individuals. Walk with a local and see it through our eyes!